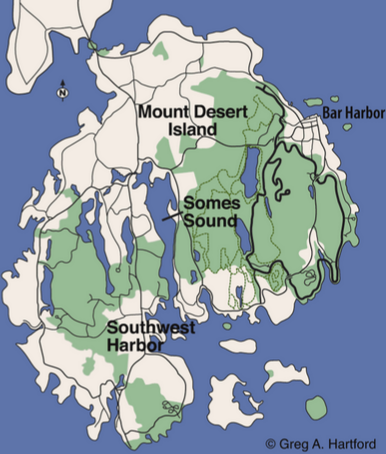 Acadia is located on Mount Desert Island. Some 25,000 years ago this island was part of the mainland continent buried under a massive sheet of ice. 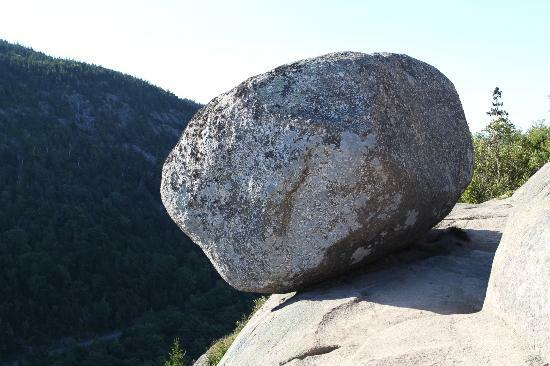 As the ice melted and recede a fjord was carved out and a 14 ton rock known as a glacial erratic moved 19 miles. Today this fjord is Somes Sound and the rock is Bubble Rock. 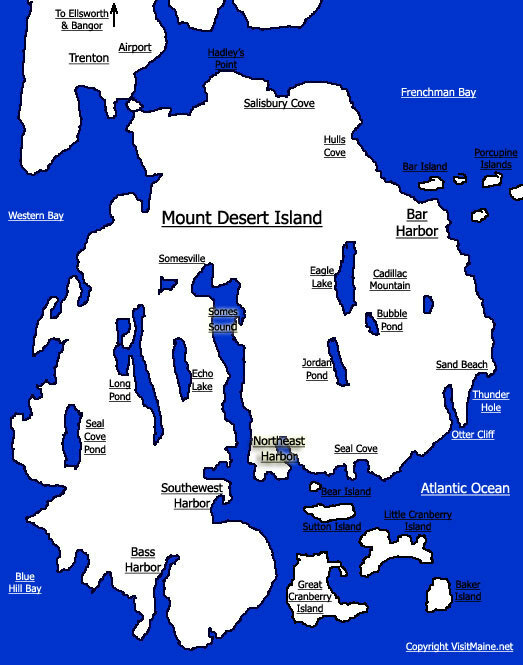 Melting ice flowed from the flattened mountain tops filling in the lake beds and the rising sea levels eventually created the island. The first people to live here were the Wabenaki, People of the Dawn. They named the island Pemetic, meaning sloping land. Cadillac Mountain is the highest point on the Atlantic coast and the first place to see the sun rise in the continental U.S., hence the name for the first inhabitants of this land. 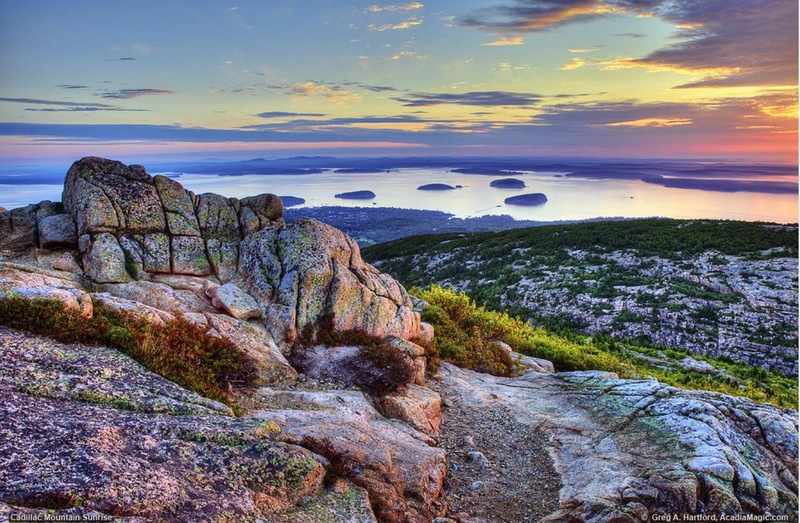 In 1604 Samuel de Champlain spotted the peak of Cadillac Mountain from his ship and called this place the island of the bare mountains because he could not see any surrounding forests or hillsides. For the next 150 years no one actually settled on this island because there was an on-going conflict between Native Americans, French, English and new American Colonists as to who had rights to the land. By the middle of the 1800s, painters from the New Hudson School visited Mount Desert Island to capture the beautiful landscapes on canvas. They enjoyed hiking from one scenic spot to another and were drawn to the simplicity of living here. Eventually their works drew an interest to the Acadia coast and soon more artists and intellectuals chose to journey here. The first steamboat from Boston accessed the island in the 1860s. In the 1880s a railroad brought wealthy visitors to the area who built cottages which were actually mansions with fifty plus rooms and a servants’ quarters. Two of these wealthy “cottagers” had the foresight to invest their time and money to preserve the natural beauty of what would later become Acadia National Park. 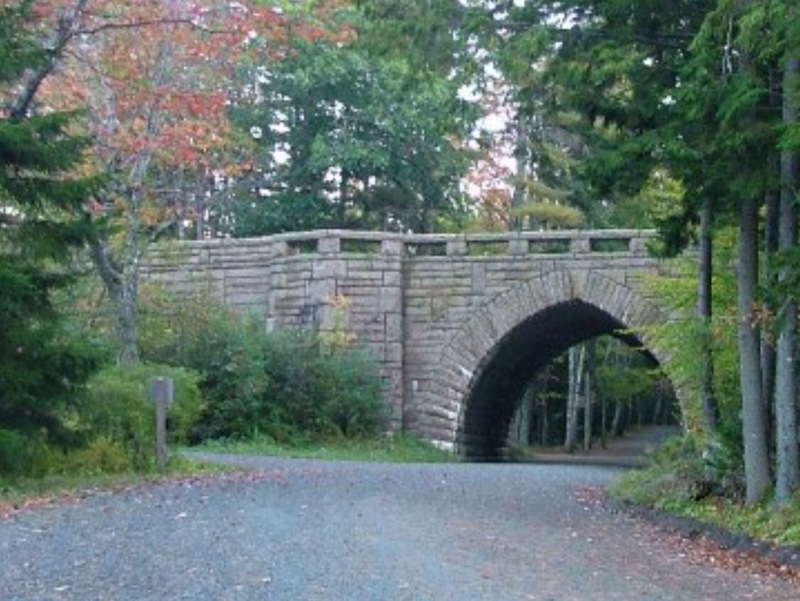 John D. Rockefeller Jr. built 57 miles of carriage roads and stone bridges and donated thousands of acres of land.